The purpose of development in a society is to improve the quality of life of its people. This is confirmed by some of the main ways used to measure development, for example the UNDP Human Development Index, which was created to emphasize that people and their capabilities should be the ultimate criteria for assessing the development of a country, not economic growth alone. However, as societies advance towards this goal, some groups are left behind. In recent decades, a lot of work has been done to understand social exclusion. Seefar, like many others has benefitted from this work and for our part, we are working to make valuable contributions to this body of knowledge through insights gained from our field experience. Beyond knowledge creation, we are working with marginalised groups to better understand social exclusion in their particular contexts, and to apply this understanding to initiatives that facilitate more equality and inclusion in the societies we work in. Understandings of social exclusion and its manifestations vary according to the social economic environment and value system. In developed countries, exclusion, since it was coined has been associated with long term unemployment, the loss of rights associated with work and the welfare state, and the process of breakdown of social ties and affiliations (Gore & Figueiredo, 1997:9). When the International Institute for Labour Studies (IILS) conducted a study in 1994 to de-construct the term to apply its use globally, it discovered that in developing countries, the term was very much related to the process of labour market formation, and in ‘fragile societies’ it was closely associated to social rights but also to the enforcement of civil and political rights (Gore & Figueiredo, 1997:9). Understanding social exclusion holistically and in its specific context is therefore important to the kinds of interventions applied to overcome it. 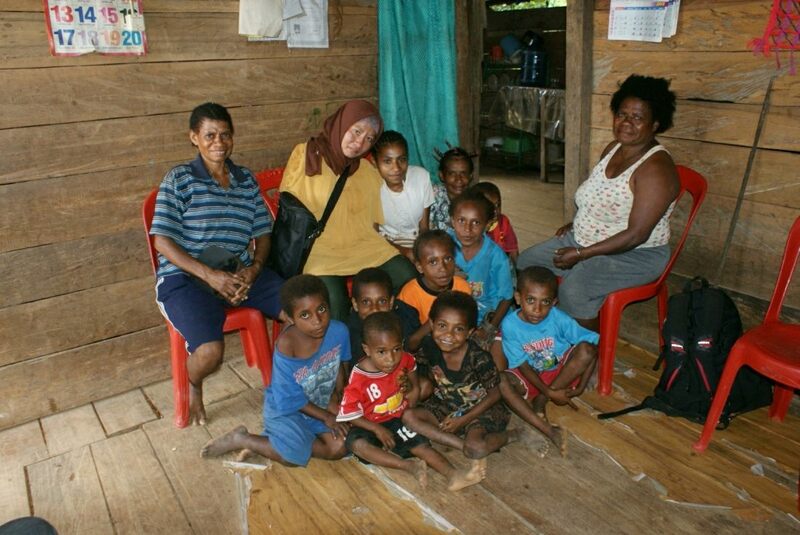 The groups at risk of exclusion: In the case of PNPM Peduli, these groups have already been identified as Ethnic minorities and forested people; Victims of religious violence and gross human rights violations; Transgender and sexual minorities; Vulnerable children and youth; People with disabilities. The things from which people are excluded: For example, people can be excluded from a livelihood, secure/permanent employment, earnings, education, healthcare, cultural capital, property credit or land, benefits provided by the welfare state, citizenship and equality before the law, participation in the democratic process, public goods; the nation or the dominant race; the family and sociability; humane treatment, respect, personal fulfilment, understanding (Silver 1994: 541). The problems associated with social exclusion. The agents and actors involved: These may include harsh economic conditions, insensitive government policies, government neglect, racial prejudice, or religious differences. A lot of work has been done to differentiate social exclusion from poverty and in the process elaborating the constituent elements of exclusion. This is often summarized by saying that social exclusion is multi-dimensional, dynamic and relational (Room 1995, 1998). Most definitions recognize that the experience of social exclusion is unequally distributed across socioeconomic and ethnic groups, and that it is not a static state experienced by the same social groups at all times in all places. For example, in our work with PNPM Peduli in Indonesia, the experience of transgender and sexual minorities among affluent groups may differ from the same minorities among poor groups or religious minorities. Additionally, social and economic transformations make many important variables of exclusion dynamic. It is therefore common to imagine experiences as existing and moving along a continuum. The major contribution of the relational dimension is to shift focus away from the distributional outcomes that dominate poverty analysis to a focus on social relationships. Room (1995) describes the core of this concept as inadequate social participation, lack of social protection, lack of social integrations and lack of power. Sen (2000:4) draws on Adam Smith, suggesting that “the inability to appear in public without shame is an important deprivation in itself”. Sen argues that the importance of the idea of social exclusion lies in emphasizing the role of relational features in the experience of poverty. A second interpretation of the relational aspect of social exclusion is that it focuses attention on inequalities as the product of social relationships that are defined historically by normative systems that assign social identities and associated power and status to different individuals, groups, classes, and even States. As in Norbert Elías’ famous study in the 1960s of the English town given the pseudonym ‘Winston Parva’, “the exclusion and the stigmatization of those excluded turned out to be powerful weapons that were used by the old-established residents to keep their identity, to reaffirm their superiority, to maintain the outsiders firmly in their place” (Elías, 1998, :86). This approach to a relational perspective on exclusion demands a group, rather than an individual analysis, that recognizes human interdependence as its foundation. In Michael Mann’s analysis (1986:2), it is to understand the place that human groups occupy in “social power networks”. The exercise of power (economic, political, ideological or military) by human groups in social networks is unequal and it is from here that hierarchies are derived (Mann, 1986: 4). From this relational perspective, social reality viewed through the lens of social exclusion is the product of an unequal balance of power between social groups, nation states and global regions which contributes to an unequal distribution of goods and services. For these writers, without the two ingredients of redistribution and recognition it is not possible to overcome exclusion (Fraser, 1997:18). For this reason, a relational perspective implies an emancipatory dimension (involving new less hierarchical social systems), a political dimension (involving new political actors) and an institutional dimension (involving new public administrations and materiality of the state) (Fleury, 1998: 13-14). Taking all the above into consideration Castel highlights the issue of continuity and ‘vulnerability’ pointing to need for a better understanding of the trajectory of groups and individuals along a ‘continuum of vulnerable situations’ (Castel, 1998: 129). In Castel’s formulation vulnerability is not understood as an individual weakness, but as a range of situations that human groups share but the resources and capabilities to avoid or escape them is unequally distributed. Minujin similarly proposes a continuum from inclusion to exclusion characterised by increasing vulnerability (Minujin, 1998: 176-187). In most societies, the basic knowledge needed for self-empowerment and awareness of rights is available publicly. Accessibility, however, varies tremendously and it is important to understand accessibility as more than the physical availability of services or devices, but also the ability or capacity of the users to use those services or devices to access information that is empowering to them. The wide use of digital technology has allowed information to be accessed faster and easier by those with access to computers. In many ways digital technology has become a basic form of communication, allowing people to participate socially, economically and politically. As a result, the longer those who are already on the margins of society with little to no access to ICT remain without access, the less they can participate in societal matters to the same extent as those who have access and the less their voices are heard. The digital divide therefore keeps them in the margins and if the status quo continues, the advancement of ICT, while empowering others, further marginalises the already excluded. Access to information can be as intangible as the extent to which marginalised groups feel comfortable or welcome to use information services or as tangible as the extent to which information services provide them with the necessary information they need to empower themselves. At a national level, many countries have recognised the importance of access to information as a basic human right. As a result a large number of countries have Freedom of Information laws that allow the public to request information from public and private bodies. In Seefar’s experience, there are several gaps in the implementation of these laws to such an extent that they may fail to serve the marginalised. For example the methods of requesting for information may require a person to be literate, to be able to request the right kind of information and be able to discern whether the information they have received is in fact useful and if not, be able to take the necessary steps to follow up with the public or private body. The capacity of marginalised groups to go through this process may be limited at each stage and the limitations can exclude them from using Freedom of information laws to access the information they need to claim their basic human rights. While social inclusion by definition is based on the inclusion of the marginalized, most of the measurements used refer to marginalized groups that are willing to be part of the mainstream society. However, the measurement of progress becomes more complicated if apparently marginalized groups wish to maintain some aspects of their experience that could often be considered indicative of exclusion, such as a lack of interaction with mainstream society. A prominent example with which Seefar is familiar are indigenous groups in Indonesia, many of whom express a preference for maintaining their identity and traditions, which gives them an interest in minimizing contact with other parts of society. At a minimum, progress in these situations can still be advanced by the inclusion of the groups in the making of laws, policies and programs that affect them. The process of understanding social exclusion has to in itself be inclusive. It must aim to understand the dynamics of why people feel excluded, what makes them vulnerable to exclusion and to what extent, and what maintains that exclusion. The answers to these questions can only be found through consulting with both the excluded and the included. When we think we have answered these questions for one society, we need to remember that the definition of exclusion varies from one context to another and therefore the elements that facilitate it will vary in different societies. Understanding social exclusion is vital to moving towards addressing the problem, but when social exclusion has been understood, the bigger and perhaps more important question we will need to answer is what does social inclusion look like? Elias, N. (1998) . In Mathieson et. al (2008). Estivill, J. (2003). Concepts and strategies for combating social exclusion: an overview. International Labour Organization. Fleury, S. (1998). Social Policy, Exclusion and Equity in Latin America” in: Nueva Sociedad. Fraser, N. (1997). Justice Interruptus: Critical Reflections on the ‘Post-socialist’ Condition ,London and New York: Routledge. Gore, C., & Figueiredo, J. B. (Eds.). (1997). Social exclusion and anti-poverty policy: A debate (Vol. 110). International Labour Office. Mann, M. (1986). The Sources of Social Power, Volume I. A History of Power from the. Mathieson,J. ; Popay,J. ; Enoch,E. ; Escorel,S . ; Hernandez,M. ; Johnston H and Rispel, L .(2008). Social Exclusion – Meaning, measurement and experience and links to health inequalities: A review of literature, WHO Social Exclusion Knowledge Network Background Paper 1. Minujin, A. (1998). Vulnerabilidad y exclusión en América Latina. En: Bustelo, E., Minujin, A. (Editores) Todos entran. Propuesta para sociedades incluyentes.Bogotá: UNICEF, Santillana: 161-205. In Mathieson et. al (2008). Room, G. (1995). Poverty and social exclusion: the new European agenda for policy and research. In Room, G. (ed.) Beyond the threshold. The measurement and analysis of social exclusion. Bristol: Policy Press. Silver, H. (1994). Social exclusion and social solidarity: three paradigms. Int’l Lab. Rev., 133, 531.